97.8% of parents would recommend us to friends and family! Your education is important to us. That’s why we find the best Maths teachers, create specialised Syllabus Committees, and source for materials from the top schools. We go to extensive efforts to make every resource readily available to our students. So that when our students take the Maths examinations, we have quiet confidence in their ability to outperform their peers. Unlike other tuition centers, we have chosen to focus only on Mathematics because we believe it is where our core strength is at. And based on both parent and student feedback, we think we do it rather well. All Teachers have more than 7-yrs Experience | All Teachers are Full-time. Since Math Lab was started 12 years ago by two Mathematics teachers, we have now grown to 7 branches around Singapore, with thousands of students benefiting from our unique pedagogical approach. Together with our team, we promise to continue bringing you one of the most effective and engaging Maths learning experiences in Singapore. Parents say our Intensive Classes made the greatest difference in their children’s grades. Take 30 seconds to fill in our “Get Information” forms. And our designated Math Teacher(s) will reply you within the same working day! Our Home Tutors are the same teachers that teach in our classes. All teachers are university graduates, and must have at more than 7-years of full-time experience. Most teachers are accredited by MOE. Our terms are designed to run concurrently with school term dates as much as possible but please always check with us to ensure so we can find the most recent foundation class for him/her to join. Every student has different questions. And sometimes, students are hesitant to speak out in class. That’s why we have 1-to-1 student sessions for students in all our group classes ― so that every student gets their questions answered. The sessions also help our teachers build rapport with their students, and to get to know their students on a more personal level. And when we are able to get along well with a student, we find it much easier to communicate well with him/her. We find students are more interested in learning, if they see that their teachers are genuinely interested in them. Our syllabus incorporates 5 different paces-of-learning because we understand that some students are ‘late bloomers’ and need a little more time to master a certain topic. MOE schools and many tuition centres attempt a ‘one-syllabus-fits-all’ approach to teaching. As a result, students to get left behind and feel that their teacher has moved on without allowing them to fully understand a particular topic. At the same time, students with a particular aptitude for Maths feel bored and constrained, having to repeatedly practice topics and concepts they already know. At The Math Lab, we have created a unique 5-tier syllabus model to help cater to the needs of almost every student. A tried and tested approach that allows even our weakest students to significantly improve, as well as enable our best students to outperform their peers. Because we aim to empower every student to learn at their fastest pace possible. At The Maths Lab, more than 90% of our home tutors are MOE-registered. Attaining MOE-registration requires teachers to submit their GCE A-level & university certificates to be vetted by the Ministry of Education. MOE also does a background check to ensure the individual is a “person of good moral standing”, and without any prior infractions with the law. We require our teachers to be MOE-registered because we understand parents need a high level of certainty when engaging a home tutor ― that the tutor possesses proficient knowledge of the subject matter, and that the tutor is of good moral standing. So when your entrust your child to us, you will have the peace of mind that your child is in very good hands. Our teachers are the single most important factor for our success in teaching Maths. We believe they are the primary reason our students perform so well in the exams. 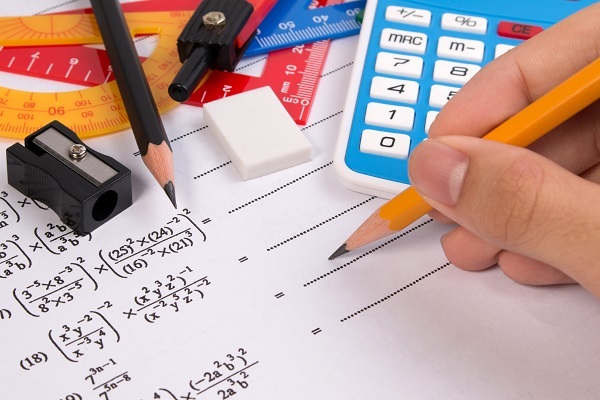 We work very hard to ensure that we have one of the most qualified & experienced team of Maths teachers in Singapore. Our selection process is rigorous; and all teachers are assessed every semester by both their peers as well as by their own students. The Math Lab collaborates with The Education Lab (A specialist MOE Syllabus company) to come out with a well-rounded syllabus and comprehensive teaching materials that put our students at the forefront when taking the exams. Our Syllabus Teachers meet with MOE teachers from The Education Lab every week to revise and update our core teaching materials. Such meetings also allow us to share resources and obtain access to the latest MOE examination papers and testing trends. Students will have access to the full range of mathematics materials offered by The Education Lab, apart from our own library of books and school materials. 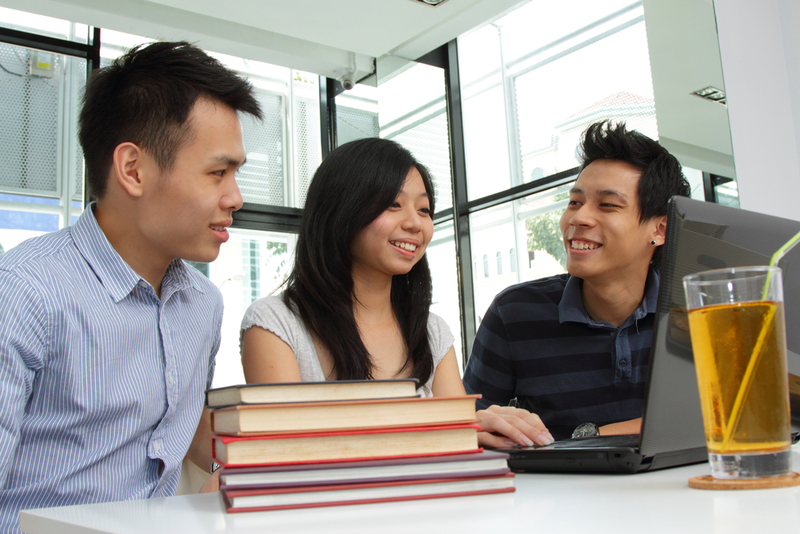 This allows our students to have one of the most comprehensive archives of mathematics papers available in Singapore. Student-teacher ratios are important to us. Students in smaller classes learn more effectively. So we configure our classes such that every student gets sufficient attention. 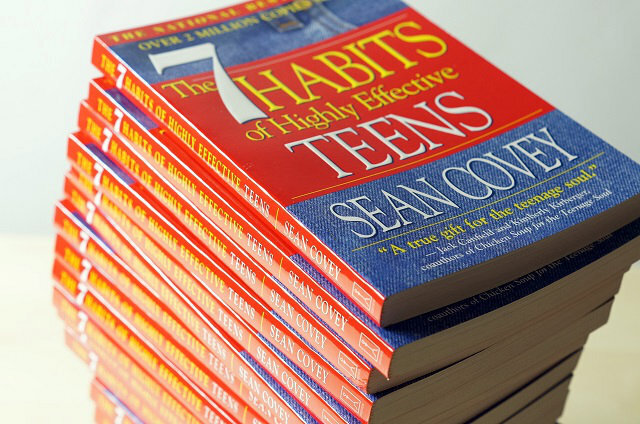 We find that students improve the fastest when parents are vested in their children’s progress. That’s why we communicate with every parent at least once a month to give an update of the student’s progress. If necessary, we will arrange for the parents to come down and explain the current syllabus topics, and the study strategy we are implementing to best help your child. Every parent will also have their teacher’s contact numbers, so that you are able to SMS or Whatsapp any questions you have, at any time. The best students aren’t those that do not make mistakes. They are the ones that keep trying, and not giving up. We encourage our students to try again, and again, and again. So they will avoid ALL their past mistakes, on the day of the exams. Materials and handouts comprise a critical aspect of the way we teach our students. Aside from lectures and practices in class, our take-home materials are the next most important way we are able to help students outside the confines of the classroom. Our Materials Group (a subset of the Syllabus Team) continually sources for the recent exam papers, combs through the latest assessment books, while working with 3rd-party publishers to come up with a Materials Package that is an All-In-One study pack. So whether you are working on Log Functions, Integration, or Trigonometry, you will always have a complete and detailed set of notes by your side. Students learn best when they are free to interact & exchange solutions with each other. Get the latest Math Olympiad Questions! We have set-up Whatsapp chat groups for each class so that students can post problems & solutions they encounter. Students may post any questions related to class work or homework assignments. Our teachers moderate every chat group to ensure that a healthy & conducive chat environment is maintained. We find such groups to be very useful in getting real-time feedback on the needs of students; it also gives us a forum to post anything from studying instructions to the latest Math Olympiad questions. Often, it’s the little things that make it all worth it. On teacher’s day, every teacher is reminded of how much we are appreciated. And we are both humbled & inspired by the thoughtfulness of our charges. We spend a significant amount of resources to create a syllabus that is effective and complete. We understand that students have busy schedules (sometimes more so than us adults). And our goal is to create a syllabus that allows the student to perform in the examinations, yet does require excessive studying time. The Mathematics exam paper can seem overwhelming at first, with numerous topics, multiple concepts, and endless equations ― but we are confident that, if a student puts in the requisite effort, they will do well in the examinations. Our syllabus is continually revised after every major MOE examination (such as the O & A levels), so that we are able to teach the student using the most relevant materials and the most updated lesson plans. Each child’s learning need is different and unique. We are aware of this and ensure that children with dyslexia or other learning difficulties can still perform to their highest potential with our quality teaching methodologies. Our math tutors have a big heart for teaching and will give each child the extra attention and time that they deserve. Confidence is a crucial element to a child’s progress. A typical child has to battle hard to be heard in the average class size of 40 students during lessons. At the Math Lab, each student gets personalised attention from their tutor and our class size is limited to 5-12 students. If you feel your child can have the potential to perform better, the Math Lab will help your child to reach the next level. At The Math Lab, we are confident that we have the resources and experience to help your child achieve their best. Math is a very important subject for students in Singapore. It is also a compulsory subject that students have to take from primary school all the way to the A-levels. In fact, doing well in mathematics is often a prerequisite for many of the popular courses in University, such as engineering. Math is also extremely useful in real life applications, whenever you pay cash for something you need mathematics to make sure that you get the right change back. In the professional world, complex mathematics algorithms are also used daily in the banking, engineering and accounting sectors. 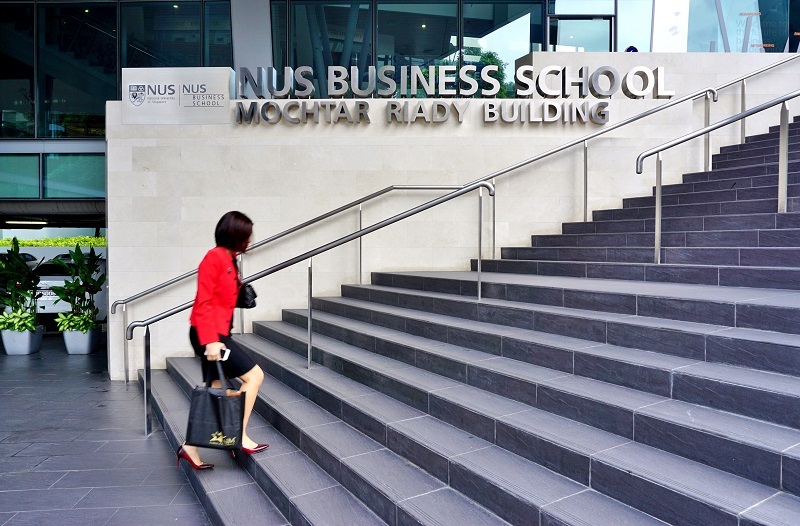 Singapore students are often ranked near the top of world rankings for mathematics, and a large part of this is due to the advanced mathematics curriculum of the Ministry of Education. 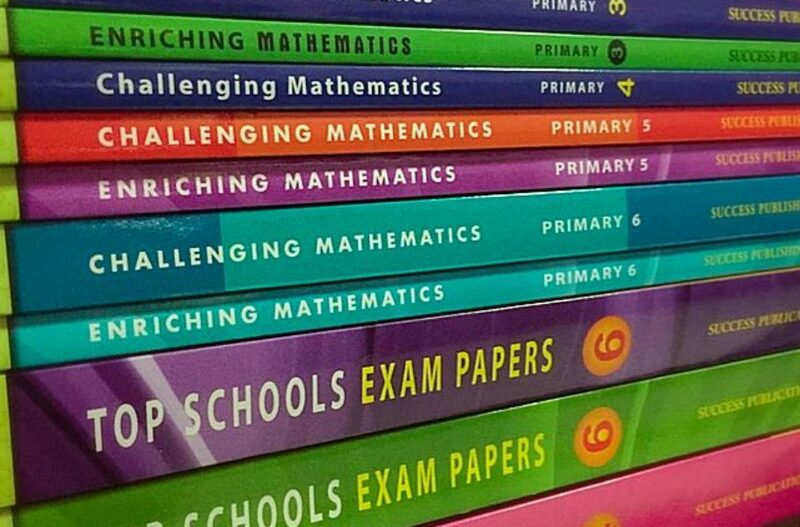 There has been a steady increase in the number of topics covered by the Mathematics curriculum, moreover each topic is taught in greater depth and difficulty. At The Maths Lab, we strive to make mathematics a fun and interesting subject through the use of visual aids and showing how mathematics concepts can solve real-life problems. We find that when students realize the critical importance of mathematics, they are more inclined to take it seriously and to ultimately do well in the subject. There is no substitute for practice. So every week, we give an ample amount of practice problems for the student to take home. Our practice problems are specifically selected to repeat and reinforce what the student learns in class that week. As part of our online learning initiative, we have an internet chat forum for our students and teachers. Students are welcome to post discussions on topics and problems we have discussed in class. If you have a question, search the forum, and chances are you will find the answer instantly! 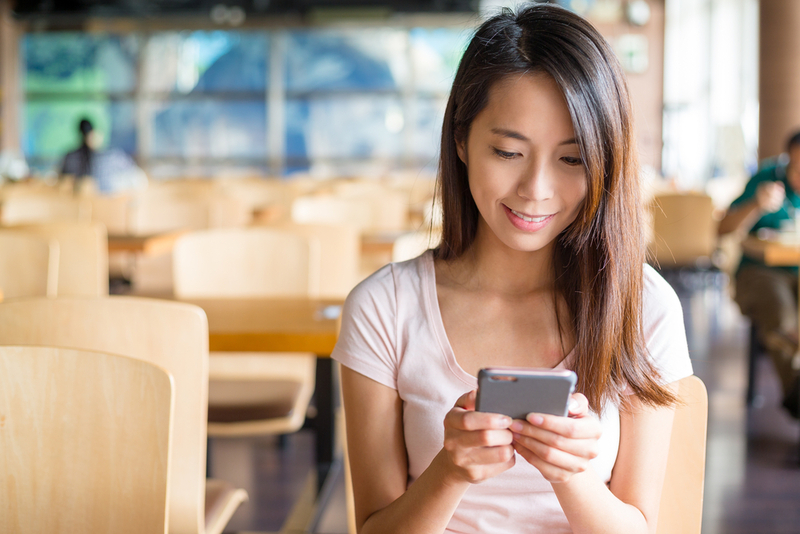 Connect with you teacher on a daily basis! Students can now take a picture of their work and send it via Whatsapp or Email to your teacher for feedback. Your teacher will get back to you within 24 hours and you can move on to more important stuff. Written in our school constitution is mission is to help every student, notwithstanding their financial resources. That’s why we have a programme dedicated to students who face financial hardship, to help and nurture them as best we can. Our aspirations for our students extend beyond simply doing well in the exams. To this end, we try to encourage our students to better themselves for life with a series of self-help books that we distribute for free! Seeing our students enter university is always a bittersweet moment. We are happy to have been a part of their journey in life, and we wish them all the best. Fortunately, many students do keep in touch with us, as well as with the friends they made here.